Summer is all about partying in the garden and sipping cocktails. There's no better way to do it than with our Cocktail Mix Fountain. 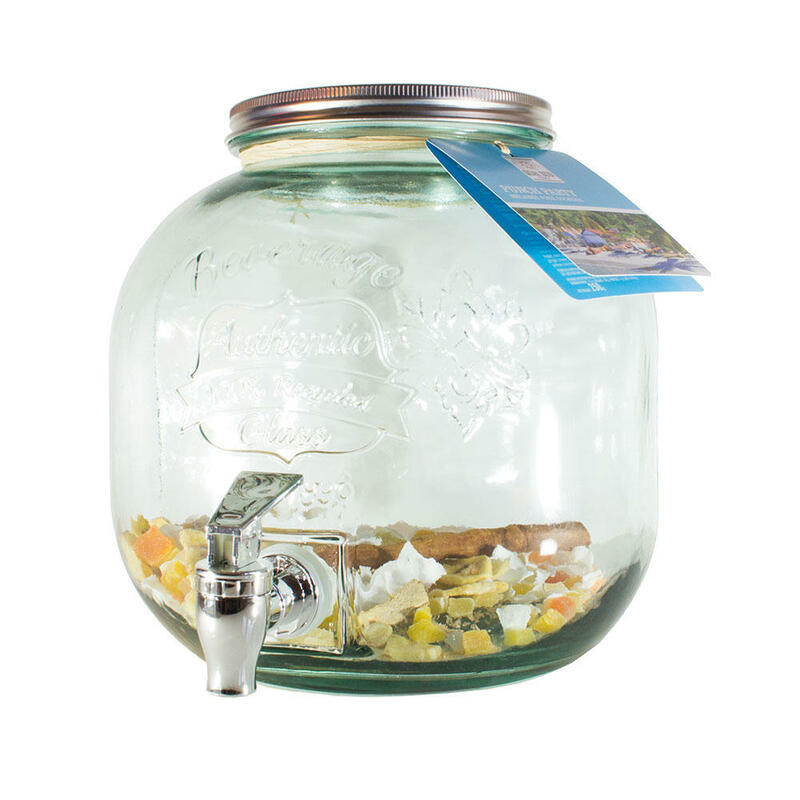 A huge glass fountain with tap containing all the flavours and ingredients you need to make your very own rum punch. Just add rum! Ingredients : cane sugar, coconut, banana (banana, coconut oil, sugar, aroma), papaya (papaya, cane sugar, E220 (sulphite)), mango (mango, sugar, citric acid, E220 (sulphite) ), pineapple (pineapple, sugar, citric acid), cinnamon, ginger, mace, natural lime flavour, citric acid, natural banana flavour and vanilla flavour, yellow sun dye E110 flavours. May have a detrimental effect on children's activity and attention. Directions for use : Pour 1 litre of white rum in the fountain. Mix and let macerate for 48 hours. Add 5 litres of fresh fruit juice (orange, pineapple, banana, exotic fruits ...) and mix with a wooden spoon.